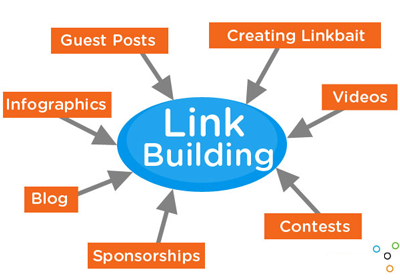 In this competitive world of internet, link building has played a very crucial role in taking a website to high rankings. The search engines really increase the ranking of the sites which have exceptional back links. If you want your website to feature in the top ranks on any popular search engine, you need to ensure that your website has excellent content and is linked properly to other websites that are popular enough to take your website to another level. Link building is an excellent technique that has been taken up by SEO specialists in order to increase the popularity of the websites and to increase the ranking on the search engines. Ours is an exemplary company which provides the new websites with an opportunity to rank in the top numbers along with other big names and promote their business to new heights. We, at Design club india , work with excellence and try to make our clients grow in their businesses through effective SEO techniques. Our vision is to achieve out-and-out client satisfaction and we work diligently towards it day and night. Each and every employee of our company is a master in his field of work and enjoys what he does. We try to give the clients what they require and discuss and strategise the plan of action. Our main goal is maintain client relations. We always try to keep the clients engaged with us. We know what the search engines want and we provide guarantee to our clients that their rankings won't be disturbed even if the search engines change their algorithms every day. The link building should be done with the websites that have a large number of followers and exceptionally good content. What we strive for is excellence and nothing less than that.